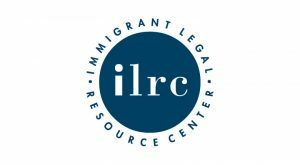 The Immigrant Legal Resource Center (ILRC) was founded in 1979 with the mission to work with and educate immigrants, community organizations, and the legal sector to continue to build a democratic society that values diversity and the rights of all people. ILRC works with community organizations, legal professionals, law enforcement, and in the policy arena to improve the lives of immigrants, focusing on: 1) policy and advocacy aimed at reforming the federal immigration system; 2) civic engagement with advocates and immigrants to build power among immigrant communities; and 3) capacity building to provide training and assistance on immigration law. The center is also a national expert on the intersection of criminal and immigration law, and has led campaigns to fight back against the increasing criminalization of immigrants.